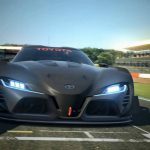 Alongside the release of the Toyota FT-1 Graphite Concept at the ongoing Monterey Car Week 2014, the special FT-1 Vision Gran Turismo has also been revealed. 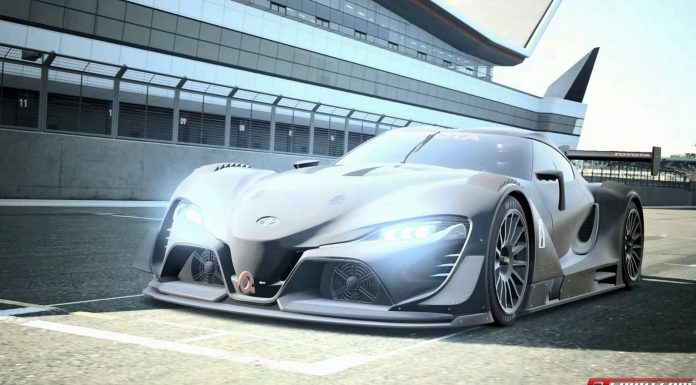 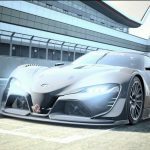 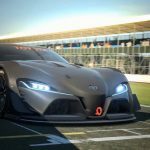 Following the recent release of a teaser video for the FT-1 Vision Gran Turismo, we had quite an accurate idea of how the car would look but these official images show it looks more impressive than we’d originally expected! As the name suggests, the car is the latest in a long line of models created specifically for Gran Turismo 6. 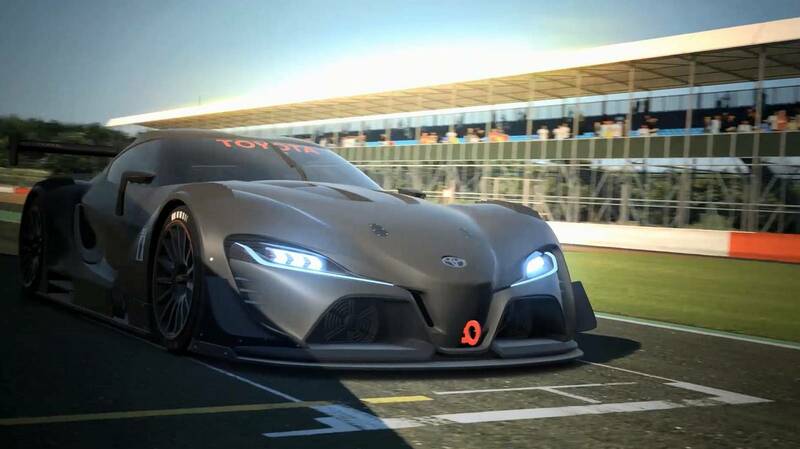 The design comes courtesy of Toyota’s Calty studio in California and overall, the car is certainly worthy of the Vision Gran Turismo title. 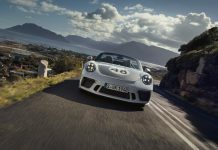 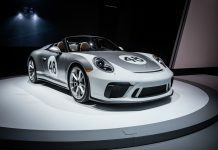 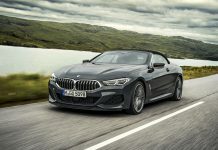 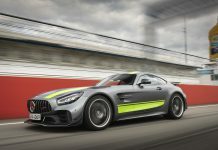 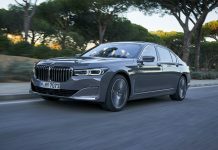 At the front, it features a completely revised bumper with a prominent central tow hook, large front splitter, massive carbon fibre canards as well as a quick release bonnet. 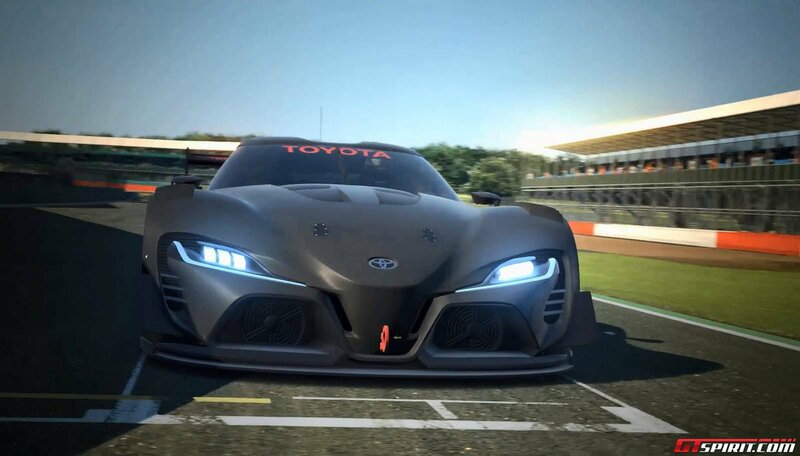 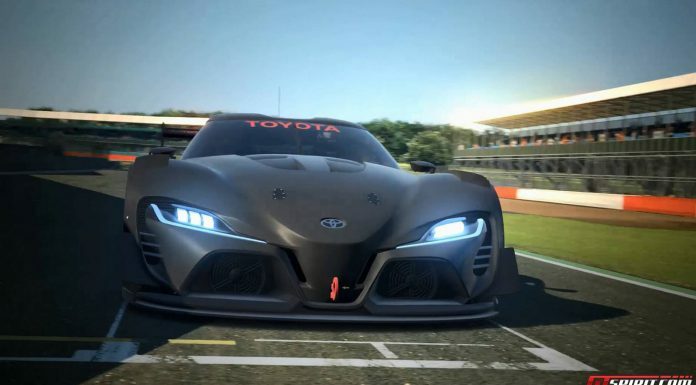 Elsewhere, the Toyota FT-1 Vision Gran Turismo features aggressive shark gills, new racing wheels with sticky tyres and extended side sills. Further brake cooling has also been implemented as have tweaked wing mirrors. 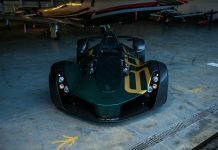 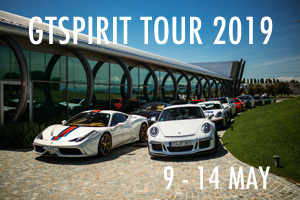 At the back, a truly monstrous carbon fibre rear wing has been fitted along with new dual exiting tail pipes, a Formula One style rain light as well as a massive carbon fibre rear diffuser. The car will be available to download for Gran Turismo 6 from next month.